Bacteria of the scalp can be found with other scalp problems. According to MayoClinic.com, seborrheic dermatitis is caused by a fungus, but bacteria is usually present with the fungus. 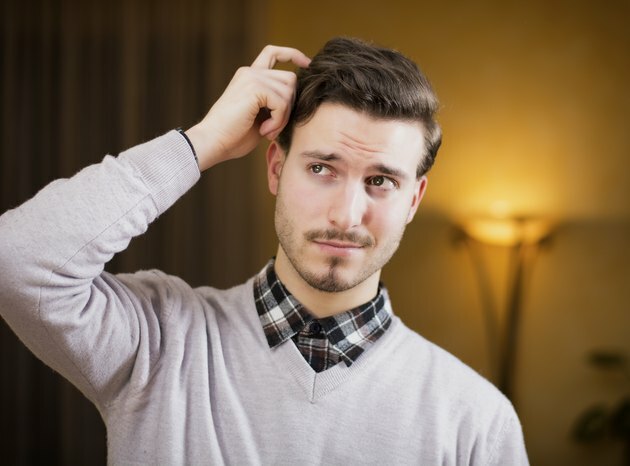 Finding a cause for your scalp itchiness can be difficult, but folliculitis, an inflammation of your hair follicles, usually results from bacteria and can cause itchiness. Symptoms of a bacterial infection on your scalp can include itchiness, bumps and pus-filled pimples. Some bacterial infections, such as pseudomonas follculitis, can even cause nausea, vomiting, headache, cramps, and sore throat. According to the Wisconsin Department of Health Services, psuedomonas follculitis is not limited to your scalp, but can affect other areas of your body with hair. Finding a cause for your itchiness may be difficult, and a doctor will be needed to assist you in finding a cure. Normally, a dermatologist will know what is causing your itchiness by examining the skin of your scalp. They will collect a sample of your rash or scalp area to run lab tests. This will determine the kind of bacteria that may be causing your problems. Treatment can begin once the doctor has found that your scalp is itching because of bacteria and not a fungus or other problem. Antibiotics can be given, usually in a prescription shampoo or creme. If the bacteria is severe enough, the doctor may consider giving you an oral dose of antibiotics. The University of Maryland Medical Center states that bacteria infections like folliculitis will respond well to this kind of treatment, but it may come back. It is important to keep your hair and scalp clean to avoid bacteria infections form growing. Pseudomonas folliculitis is commonly acquired in warm waters such as whirlpools, so avoidance of these water sources can help. You should also avoid wearing other people's hats and clothing that may have contacted bacteria. Itchy hair can be from many sources. Some of them can be contagious and may spread to others if you do not treat the problem. Speak with a doctor about your itchy scalp and follow his treatment instructions carefully.